We don’t have to remember to turn them on. It’s automatic! We don’t need to plug them in or change the batteries. They are solar powered. Immediately we were thrilled with the results. We no longer noticed as many tracks around the coop and run area. Even the deer stopped munching on the surrounding gardens! Fast forward to today, two years later, and all four of our Solar Nite Guards still work like new! Despite the harsh weather of the Northeast and the salty air from the sea, they continue to blink from dusk until dawn every single day. We can’t imagine the coop without them. Leave a comment on this blog with your email address to enter. (mandatory) Winners will be notified via email. While here, why not become a follower of Tilly’s Nest? Then stop over to Nite Guard’s Facebook page and tell them Tilly’s Nest sent you. 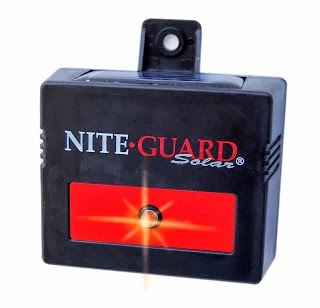 Fine Print: Two winners will be randomly selected to each win one Solar Nite Guard. Items ship to U.S. addresses only. Giveaway ends on 10/26/13 at noon EST. One entry per person. Winner notified by email only. I love NiteGuard…love love love! Oh do I need this!! Fingers crossed! 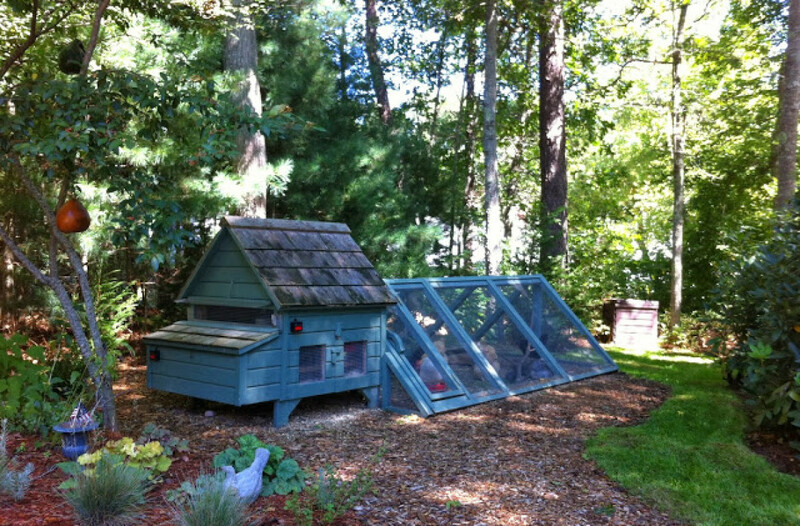 Would love to have this for my new coop! Sure would love to win this to keep my girls safe! This sounds like a really good idea. We could definitely use one. what a wonderful idea. I already follow Tilly's, and here is my address: [email protected]. I'm going to suggest this to my friends with a koi pond who have been feeding expensive fish to the racoons! This sounds like a great product! We have had some predator activity around the coop lately (thankfully no one succeeded in entering the ladies' haven). Would love to try something that would keep them further away than the fencing! I would love to have this to help protect my girls from predators! We lost half our flock in August to a dog attack. I wish we had be able to protect them more! lost 3 of my girls in the last week…I now have the dog as a nite guard. could use this I think. I am heartbroken but have learned the hardest way. These LOOK Awesome….I'd love to enter the contest Please!!! Thank You!!! Would love this as an addition to our girls' yard!! 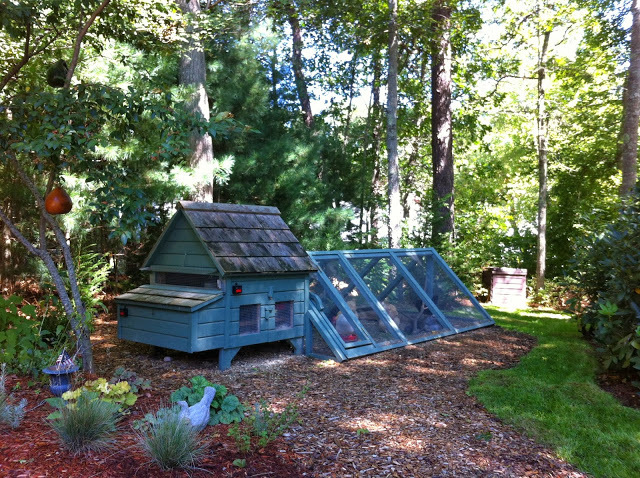 After watching the fox chase our neighbors chickens across the yard, we know we need one of these! of course, the e-mail I should have included is [email protected]! I definitely NEED to get some of these, too many possums near my coop! Your coop and garden are lovely! 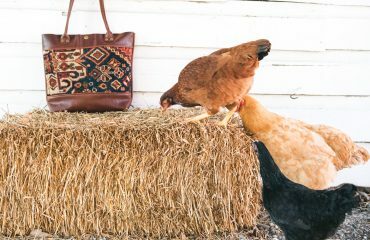 Ooh love the coop and run! this product sounds like a useful one! I was just thinking about buying one of these! Winning one would be Great! I'm sorry but I bought two of these and they didn't keep a possum from getting into my pheasant pen and killing our male pheasant. It dug right under where we had this nite guard on a post 2' above the ground. We had installed one on each end of the pen. We buried our fence 18" under the ground after this and caught a huge raccoon in our live trap just last week after seeing where something again had dug in the same area of the pen. Live traps with cat food in them work much better. It sounds like the Nite Guard Solars might have been hung up too high. According to the directions they should be hung at the eye level of the predator. The opossum are much lower to the ground than 2 feet. At that level I think they would be more effective for fox and coyotes. That being said, I don't think that it is ever a good to rely on only one type of predator proofing. 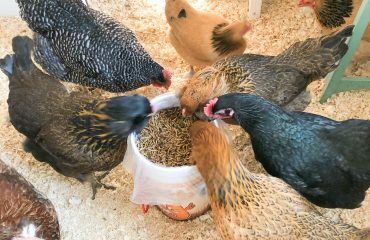 Predator proofing locks, removing food and water from the outside run, burying the hardware cloth all the way around the coop into the ground, and locking up the chickens at night are all things that help against predators. I'm glad though that you were able to solve things and find techniques that were helpful for you and your situation. That looks like an awesome tool! Would love it, Thanks! I would love this to help protect my girls. Thanks for th chance to win. Always looking to improve my coop – would love one of these – I know opposums need to eat too, but not my chickies!!! [email protected] Thanks for the chance to win. I would sleep much better knowing my girls were better protected!! Thanks!! Good heavens. That photo of your coop in the garden is just absolutely stunning. What a great idea! Would love to have these around my chicken tractor for those nights I get home after dark and need to make sure my babies are safe from predators until I can get them into their secure night coop! Melissa thethoughtofyou(at)sbcglobal(dot)net Thank you for this opportunity to win! This would be great to deter raccoons! Sounds like a great solution, pick me! I love your blog posts and look forward to reading them. They have been very helpful. 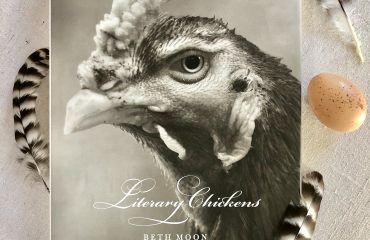 My daughter is a new chicken keeper. This would be a great gift for her. Hope I win! Thanks for the chance! Thanks for the chance to win..I'd love to give it a try, all the wild ones seem to be coming closer and closer. wow, I have never seen these before and think it would be a great idea to have this on hand since I am having major issues with racoons and skunks here. thanks for the chance to win, definitely going to look these up irregardless of if I win or not! micaela6955 at msn dot com new GFC follower of your blog too!